If you’ve been thinking of signing up to Spotify Premium, but haven’t quite made the jump yet, this could give you the final push you needed: Spotify is now giving away a free Google Home Mini to everyone who signs up to a Family Plan. A Spotify Family Plan costs £14.99 per month, and gets you Premium account for up to six family members, which means you can all listen to music without ads, skip tracks, and download music to your device. The offer will last until May 14, and will need to be redeemed by May 24. 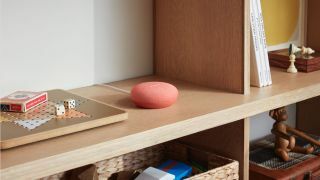 It's not just for new customers either; Spotify's website says that "new and existing primary account holders are eligible to redeem a Google Home Mini from the Google Store." While it's not the best smart speaker in terms of audio quality, the Google Home Mini is a great way of buying into Google's smart home ecosystem, for the relatively cheap price of £49. As it comes equipped with Google Assistant, it's always at the ready to help you find answers, turn on the tunes, dim the lights, start a TV show and more by using nothing but your voice.